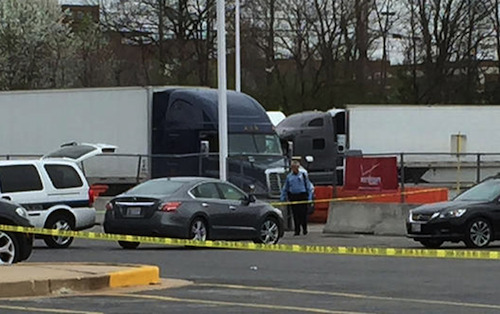 Less than two weeks after the fatal stabbing at a Sumner, Washington truck stop, a man opened fire at a truck stop in Jessup, Maryland killing one victim and leaving another in critical condition. The incident took place on Easter Sunday and after the suspect fled on foot, his body was found Monday morning on nearby railroad tracks hit by a train in an apparent suicide. When Howard County police arrived at the scene, they found one deceased adult male and another adult male in such bad shape that he was taken to Shock Trauma in critical condition. Both victims had been shot and the gunman had already fled the scene. 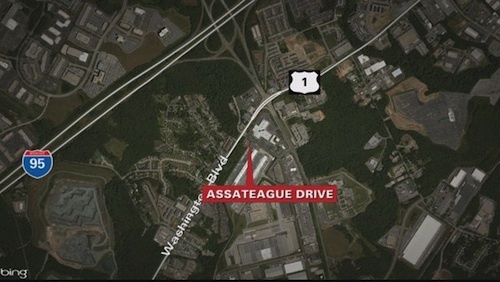 Patrol officers, K-9 officers and air units swarmed the area in an all night hunt for the suspect described as “wearing blue jeans and a denim jacket.” Authorities had even shut down roads surrounding the area for several hours as the search for the suspect continued throughout the evening. However, police assured residents that the community wasn’t in danger, stating that they believed it was an isolated incident. The investigation eventually led police to identify the shooter as 52-year-old Jacinto Del Prado of Greenbelt and issued a warrant for his arrest. 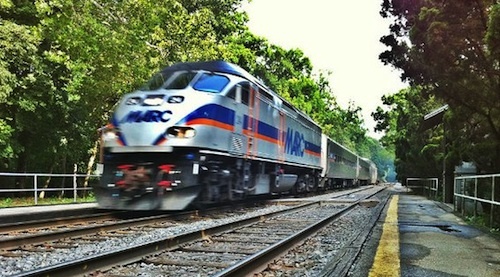 But on Monday morning at around 7 a.m., they found the suspect dead on nearby Amtrak railroad tracks in Prince George county. Del Prado had apparently took his own life by jumping in front of a train, causing MARC’s Penn line to temporarily shut down. Even more tragic is that investigators believe that he had confronted the two victims over a domestic matter, but the shooting was a case of mistaken identity. The deceased victim has been identified as Chad Dewayne Daniel, 44, of Wesley Chapel, FL and the injured victim as Warren Anthony Weeden, 57, of Baltimore. On Monday, Weeden was upgraded from critical to stable condition. Truck drivers in the area were obviously left upset and shocked by the crime. "Nobody deserves to die. I'm sure it's senseless. Thinking of the man's family, of course he's got a family. It's just terrible,” Winrow said. I said licensed CCDWs, if you can't qualify, bye bye CDL too. This is well thought out Michael James Harahuc. No one wants untrained, unqualified, unlicensed loose cannons out there. And all duty ammo must be accounted for at the beginning and end of shift and following an incident. Your second amendment rights shall not be infringed upon......I'm sorry, but I don't feel as if any company policy trumps the Constitution. What about a paintball gun in the truck? Perfectly legal to carry a Flare gun. There is NO REGULATION saying you cannot have a firearm in a commercial vehicle, however the jurisdiction(s) you drive through or the company you drive for/ leased to/ lease from May prohibit it. The man that was killed was my mentor and one of my best friends. He will be missed. Well someone posted truckers should never carry guns, can we carry trains. I don't care if I do go to jail, I carry and will use it ! This story just keeps getting worse!